The iStand Pro iPhone 7 battery case not only charges your iPhone 7/7 Plus on the move, but also brings back 3.5mm audio jack to the new iPhone. Need more features? Let’s continue checking. 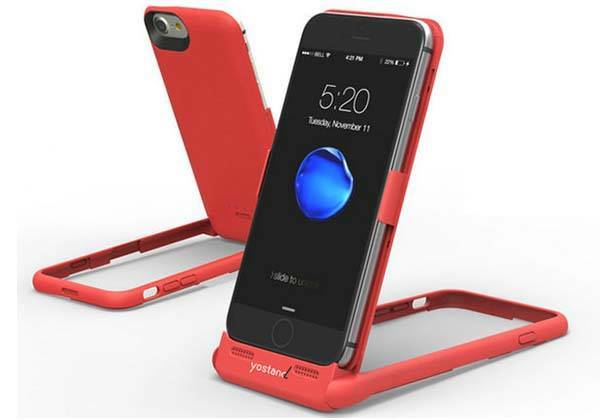 The iStand Pro is an innovative and multi-purposed battery case that comes in two sizes for iPhone 7/7 Plus and iPhone 6/6 Plus. As we can see from the images, the iPhone case shows off a low-profile and slim profile, and four optional colors allows it to meet different senses of style. Meanwhile, its matte finish delivers a comfortable and firm grip experience, and the iPhone 7 case features a flexible outer frame that can be used as an iPhone stand supporting both portrait and landscape viewing modes. The iStand Pro features an integrated 3000mAh backup battery in the frame for charging your phone on the move. Furthermore, the iPhone 7 battery case also features a built-in 3.5mm audio jack that allows you to use your existing 3.5mm earphones to enjoy your favorite music. An extra Lightning port is designed to connect with a Lightning cable for charging and syncing. Moreover, the iStand Pro also comes equipped with Qi-enabled wireless charging technology. 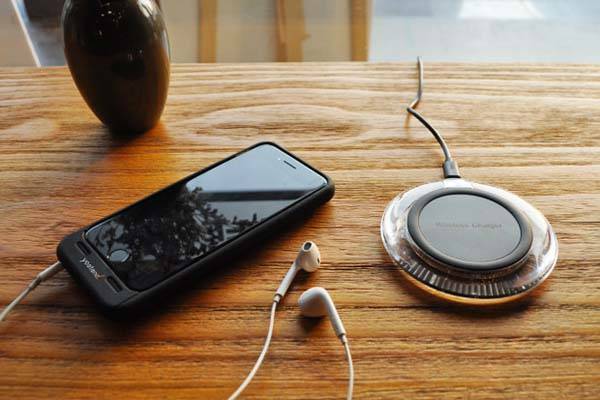 Just putting your phone on a Qi-enabled wireless charger lets you charge it without needing any cable. In addition, using its hardshell construction and 1mm raised bezel, the battery case protects your handset from scratches and bumps in daily life. All iPhone buttons and functions are accessible with ease. The iStand Pro has been available for preorder via Indiegogo. You can pledge $64/$69 for the versatile iPhone 7/7 Plus battery case. Additionally, iStand 7 case without 3.5mm audio jack and wireless charging costs $29/$35, and iStand 7A model with 3.5mm audio output is priced at $49/$54. All models will be shipped in March 2017. BTW, don’t miss the iPhone 7 battery case with dual SIM support and more cool related gadgets by following tags.